For a list of all papers published by Dr. LaBianca please CLICK HERE. Twenty-three contributors present studies of food, water, geography, and hinterland sites providing the context for archaeological reports which consider stratigraphy, ceramics, and small finds. Included are 290 photos, 80 maps, 60 figures, 40 illustrations, and 25 pottery plates, as well as 25of botanical summaries and 150of locus summaries. This publication continues in the tradition of the previous two seasonal reports, detailing the hinterland regional surveys, the clarification of the defense system, further excavation of the Iron Age complex, and discovery of extensive Early Bronze Age domestic structures. The fourth volume of the Madaba Plains Project series entitled Madaba Plains Project ‘Umayri 4: The 1992 Season at Tall al-‘Umayri and Subsequent Studies. It is edited by Larry G. Herr, Douglas R. Clark, Lawrence T. Geraty, Øystein S. LaBianca, Randall W. Younker and includes contributions by Douglas R. Clark, Buguslav Dabrowski, Malgorzata Daszkiewicz, Timothy P. Harrison, Larry G. Herr, Jacek Jelitto, John I. Lawlor, Russanne D. Low and Elizabeth E. Pratt. This volume is dedicated to His Royal Highness Prince El-Hassan bin Talal of the Hashemite Kingdom of Jordan whose long-standing support of archaeology in Jordan has earned both admiration and deep respect. The field reports examine the Iron II/Persian Administrative Complex (Ch. 3), Western Defense System (Ch. 4), the Lower Southern Terrace (Ch. 5) and the Eastern Shelf (Ch. 6). These include stratigraphic information, section drawings and pottery plates. Detailed photographs and line drawings make the identification of the excavation phases clear. The pottery discussion compares the ‘Umayri ceramics with other similar forms from MB II to Late Iron II/Persian found elsewhere in the Levant. The variety of objects found at ‘Umayri show the diversity of human activity throughout the periods represented. These objects are presented in the preliminary report, along with other articles on the clay figurines, the reexamination of Cylinder Seal No. 3021 and two unique inscriptions. Also included are 50 figures, 85 plates, 22 tables, 2 maps, 30 pottery plates and index. The volume is dedicated to Prince Raad Zeid Hussein. It includes contributions by David R. Berge, Joan W. Chase, Douglas R. Clark, Buguslav Dabrowski, Angela von den Driesch, Elzbieta Dubis, Jürg Eggler, Larry G. Herr, Chang-Ho Ji, John I. Lawlor, Nadja Poellath, Joris Peters, Elizabeth E. Pratt, and Lloyd A. Willis. The field reports examine the Ammonite Administrative Complex (North) (Ch. 3), Western Defense System (Ch. 4), and the Southwest Acropolis (Ch. 5). These include stratigraphic information, section drawings and pottery plates. Detailed photographs and line drawings make the identification of the excavation phases clear. The pottery discussion compares the 'Umayri ceramics with other similar forms from MB II to Late Iron II/Persian found elsewhere in the Levant. Burial practices are discussed including the Dolman, Middle Bronze Age IIC Tomb as well as the wider detailed examination of the human bones. The variety of objects found at 'Umayri show the diversity of human activity throughout the periods represented. These objects are presented in the preliminary report, along with other articles on the metal objects, the inscribed seals and seal impressions. Other studies include an examination of subsistence at the tall during the Bronze Age and tribes and sedentarization of the region. Also included are 138 figures, 76 tables, 2 maps, 46 pottery plates, 425 seal illustrations and index. Today's political minds assure us that the more connected societies are the less danger they pose to global stability-but is this a new idea or one that is as old as history itself? Trade networks that began as far back as human prehistory were responsible for exchanges of ideas as well as goods and the ripple effects of these networks were the expansionist compulsions of historical States and empires. This is the end report of the Global Moments' project summarising all the research components. It is edited by Leif Manger and Øystein LaBianca, with individual contributions from all the researchers. The Global Moments in the Levant research programme seeks to delineate what the salient theoretical and methodological implications are of the fundamental methodological assumption that the insights derived from historical and archaeological study of the past are relevant for understanding the present situation in the region and that, in turn, the findings of ethnographic studies carried out in the present have relevance not only for today, but also for understanding the past. 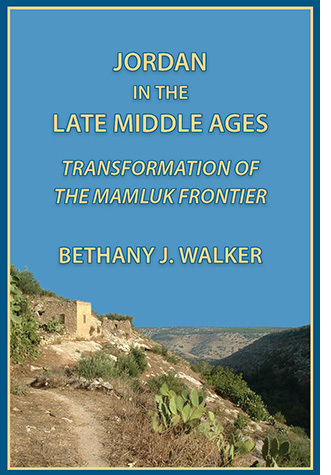 Walker's book explores the transformation of the Mamluk state during the late 14th centeury from the perspective of Jordan. She exmines the effect that the decline of the Mamluk Sultanate at Cairo had on the entire region, including the local people at around Hisban. The book is part of the series Chicago Studies on the Middle East and is published on behalf of the Center for Middle Eastern Studies by the Middle East Documentation Center at the University of Chicago. Bethany Walker is Associate Professor of Middle Eastern History at Missouri State University. She has published widely on Mamluk and Ottoman socio-economic history and material culture in primarily American and French journals. A historian and archaeologist, she directs two archaeological projects in Jordan and for the last twenty years has been doing fieldwork at sites throughout the eastern Mediterranean. The year 2008 marks the 40th anniversary of Mabada Plains Project archaeological research in the Hashemite Kingdom of Jordan. The Madaba Plains Project is one of the longest-lived, continuously running archaeological excavation projects in the Middle East. Spanning four decades, the project, with its beginnings at Tall Hisban in the late sixties, has engaged 1,500 participants, produced scores of publications and spawned a dozen other projects. Its legacy includes being one of the first major Near Eastern archaeology projects to adopt a multi-millennial, regional approach; to incorporate ethnoarchaeology and environmental studies; to construct data around a “food-systems” approach; and to computerize procedures for archaeological data acquisition and analysis, thus helping advance both the theoretical underpinnings and the field methods of archaeology in the southern Levant and beyond. Using examples from ancient Transjordan for showing the basics of form-based typological pottery analysis, Ancient Pottery discusses and illustrates the parts of a vessel and objectively defines basic morphological nomenclature. It details how to describe a vessel and "read" pottery drawings, and the differences between open and closed forms. Perhaps its most original contribution is the "form-based paradigm" for identifying particular pottery forms. Included is an introduction to the cultural and historical context of each archaeological period in Transjordan which serves as a preface to a detailed presentation of the pottery characterizing each period, including over 450 pottery examples from 55 sites representing 23 archaeological periods. Dabrowski, B., Dubis, E., Kapica, M., Krug, H. P., & LaBianca, O. S. (1996). "Funerary Sites in the Vicinity of Tell El-'Umeiri." In J. Sliwa (Ed. ), Studies in Ancient Art and Civilization. Krakow: Jagiellonian University. Jacobsen, F. F. & McNeish, J.. (2006). From where life flows: The local knowledge and politics of water in the Andes. Trondheim: Tapir Academic Press. LaBianca, O.S. (1995). "The Kingdoms of Ammon, Moab, and Edom: The Archaeology of Society in Late Bronze/Iron Age Transjordan (ca. 1400-500 BCE)." In T. E. Levy (Ed. ), The Archaeology of Society in the Holy Land (pp. 399-415). London: Leicester University Press. Knauf, E.A. (1990). "Hesbon, Sihons Stadt." Zeitschrift des Deutschen Palästina-Vereins (1953-), 106: 135-144.